For girls with sensitive or dry skin, they are always on the road of seeking for alcohol-free toners. 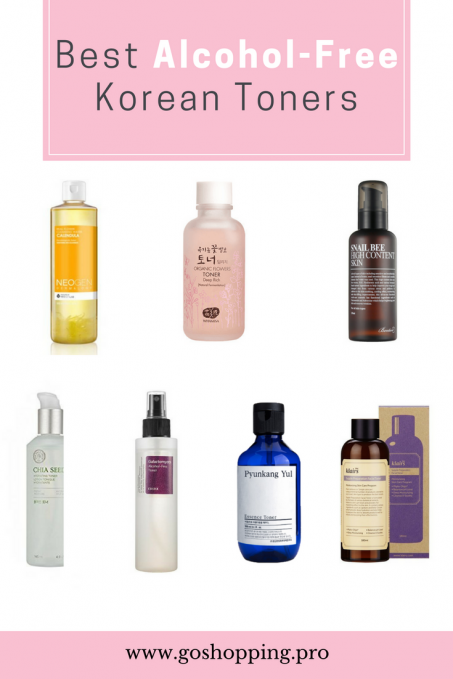 So, today we want to offer some help and explore the best alcohol-free Korean toners. You can find alcohol in lots of toners especially the toners from Western countries. Because toners are only used to clean makeups and remove dead cells for most girls from the US or European countries and alcohol works well. But when you step into the Asian beauty world, you will find that toners in Korean or Japanese cultures have more functions. They help to adjust PH level, provide nutrition and prepare for the next step of skincare routine. 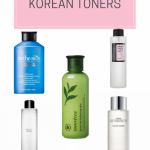 Lots of Korean toners only contain a little or no alcohol. In some circumstances, alcohol help to kill bacteria or minimize pores. However, it may break the water-oil balance， 的story skin barriers and cause irritations or dryness for girls with sensitive or dry skin. Hence, a lot of dermatologists advice sensitive or dry skin customers to use alcohol-free toners. Luckily, we find some good alcohol-free toners in Korea. 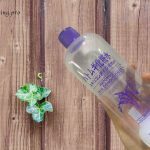 This Whamisa Organic flower skin toner becomes quite popular recently and lots of bloggers think it is the godsend for sensitive girls. Whamisa is a high-end brand in Korean skin care store. When you look at the ingredient list, no alcohol will show up. Instead, you will see lots of organic and fermented ingredients, such as lots of botanical extracts and ferment filtrates. Given that fermented ingredients have a higher concentration of nutrients and antioxidants, this toner works well on hydrating and smoothing your skin. The texture is thicker than the watery toner but still lightweight and easy to absorb. It also helps to gently remove dead cells and adjust PH level. Plus, it will relieve the dryness and redness of the sensitive and dry skin. If you want to find a Korean toner that is simple and effective, this Pyunkang Yul Essence Toner will not let you down. This toner only contains 7 ingredients and 91.3% of it is a herbal extract called Milk Vetch Root Extract which is famous for its extraordinary antioxidant and anti-aging effects. Other ingredients include betaine and minerals. All of them are full of skin benefits and it is safe and low-irritated. This toner comes with no scent and free of alcohol, dye, and fragrance. It has a gel-type contexture and can be absorbed quickly. The formula here can provide intensive hydrating treatment for your thirsty skin without causing any irritation. Your skin will feel bouncy and smooth after applying it. I don’t remember how many times I mentioned this Klairs toner on this site （Read the in-depth review here). In fact, it is one of my favorite Korean toners and is loved by lots of sensitive skinned folks on Beauty websites. 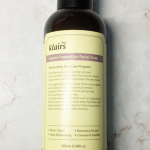 This Klairs toner contains lots of hydrators such as Sodium Hyaluronate, β-glucan, Centella Asiatica Extract, and Lipidure. All of them are proven to help retain moisture and they also work to calm down redness and irritation. It is a product specially designed for sensitive skin so that it is free of alcohol, artificial fragrance, and dye. It comes with a pleseant herbal scent which makes me feel relaxed and I quite enjoy the moment when I apply it. When you are looking for alcohol-free Korean toners， you always expect something more. If you are suffering from hormone acne or easy to get redness， this Benton Snail Bee toner will help you a lot. You may tell from the name of it that it is a toner that features snail mucin and bee venom. As you know， snail mucin works wonders on healing skin and fading acne scars and bee venom is called “natural botox” which boost blood circulation and collagen production by making your skin think it is been stung. These two ingredients along with other beneficial ingredients in this toner help to accelerate cell turnover and solve skin problems. The consistency of this toner is very watery and it is also a good choice for oily and combination skin. Cosrx is a Korean brand loved by lots of Ameican girls and the brand always know what their customers are looking for. Hence, they produced this alcohol-free toner for those dry and sensitive skinned girls. In fact, this one suits all skin types. Yes, it is an alcohol-free toner. However, the benefits of this toner go far beyond this. By including 10% of Galactomyces Ferment Filtrate, this toner works well on reducing dullness, enhancing skin moisturizing level and removing dead skin cells. As mentioned before, fermentation can significantly improve the effectiveness of skin care ingredients. This Galactomyces Alcohol-Free Toner is watery with no smell. You may feel nothing at the beginning but will see the difference after 2-3 weeks. Applying this Neogen flower cleansing water is a quite interesting experience because you can see the real flower petals in this toner. As the name of this Korean toner suggests, it is a product that focuses on cleaning your skin. It not only helps to remove dust and makeup residues， but does well on pore caring. Even better， this toner will not make your skin feel strapped and it can moisturize your face at the same time. I know a lot of cleansing water always make the skin feel stung or cause redness but it is not the case here. This toner is very gentle and your skin will be carefully protected. If you often watch youtube or read some lifestyle articles, you may see a few of articles talking about the magical effect of Chia seed. And now, the face shop use it in their skin care products. This hydrating toner features hydrating and moisturizing effect. It is free of alcohol and the formula is very gentle. This toner may not make wonders but it will take care of your face quietly. 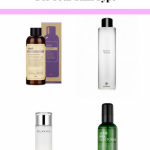 All in all, These are our picks and reviews of the best alcohol-free Korean toners. Hope you it help you to find something to stock up.